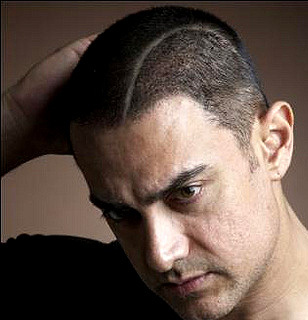 What kind of feeling does Aamir Khan's new hairstyle instill in the viewer? Most hyperlinks are in blue. Should they be of different colour? Like red, green or brown? Are the brand, design and usability are interconnected? Aamir, who regularly changes his hairstyle to suit his role, has done it again! For his upcoming film Gajjini he is sporting a brand new hairstyle – the very stylish short crop with a curvaceous parting down the middle. In the Samsung and Titan advertisements his mini-cut suits him perfectly. Taken together with his lean look, his hairstyle can give an impression that it is done by someone who is graphically aware! It's visually futuristic - as if he is an 'Aamenoid' from planet 'Aamira'! Ever since internet started most hyperlinks are in blue colour. Probably, because navy blue is a colour that is easy on the eyes and easy to identify. But aren't other pastel colours equally qualified as the colour of a hyperlink? Rust, dark brown, cherry red, apple green are also good enough colours. What do you say? Whatever you do in design and in usability will affect the brand. Is branding is more important than usability or usability is more important or they are interconnected...What do you say?